We have reached a time when the release of a book on social approaches to business is almost unremarkable. Last month saw the publication of Social Technologies in Business: Connect | Share | Lead created by Isabel De Clercq. Having been a participant in the process of this book, come to know, respect, and admire all the contributors and contributed to three of the essays in this book, I am an enthusiastic fan of the book. With far too much bias to claim objectivity, rather than review the book, I will discuss three key themes that come out from my reading of the contributions overall. This book is a testimony to the value of working out loud. Naturally, given the focus on social technology, working out loud is woven throughout the essays in the book, but it is also a strong example of the value of practitioners working out loud. The pieces are by practitioners and focus on practically sharing the challenges and lessons won in a concise & engaging style. Whether it is how to convince management, how to lead in social or practical tips to win adoption and value the book is full of rich detail that other practitioners can use. Many of the pieces are collaborations of the perspectives of multiple contributors. Not all the authors agree and these pieces sizzle with the interplay of ideas still developing. That many of the contributors met through sharing on Twitter and other social communities are reflected in the strength of the shared themes throughout the book. Again and again, the authors return to the theme that an effective digital business is one that uses digital tools to enable more from its human employees. Digital transformation requires focus on the change in human behaviour to see the benefits of new ways of working by employees. Engaging purpose, building capabilities and supporting this change is work we will be doing for years to come. Social and digital technologies are built into our systems, processes, and approach to work now. The challenge still is to help people and organisations to get the value of these tools through change. The networks created by social technologies in business enable new models of leadership. We are no longer entirely dependent on the top of the hierarchy to guide and shape change. It certainly helps to have senior management support for any transformation, but networks have the ability to empower employees and to surface the change agents in their midst. 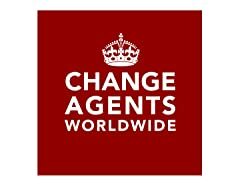 The organisations and the case studies in the book highlight the value of enabling change agents to experiment, adapt and learn with the support of peers. There’s also more than enough room in these networks for a little fun and the creation of transformative business value by harnessing the potential of people throughout the organisation. Thanks to the many contributors to the book for their generosity and time in sharing ideas and stories. Thanks to Alison Williams for her work editing the book and distilling the takeaways from the pieces. Thanks especially to Isabel De Clercq for passion, her vision and her many efforts in bringing together the contributors to the book. Her handiwork is evident from the list of contributors, to the quality of the design and the diversity of topics covered. By simongterry in Future of Work on 10/07/2017 .